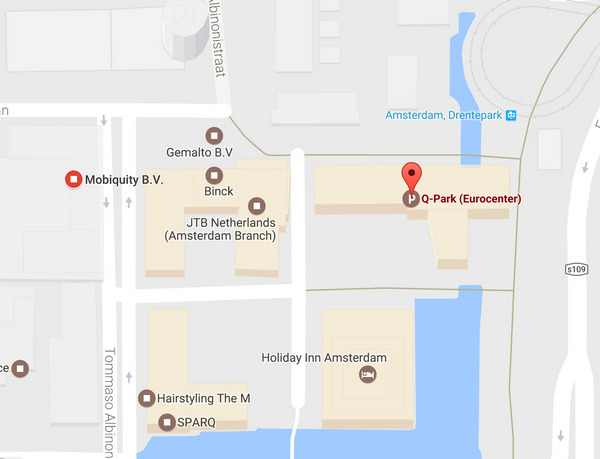 In May we will be at Mobiquity in their Amsterdam office. Mobiquity will provide a talk about "How and why to Unit Test in Swift 3." Our second speaker, Camo Vera comes all the way from Chile. He works at AxiomZen and will give a talk titled "Saving time using Xcode Templates". 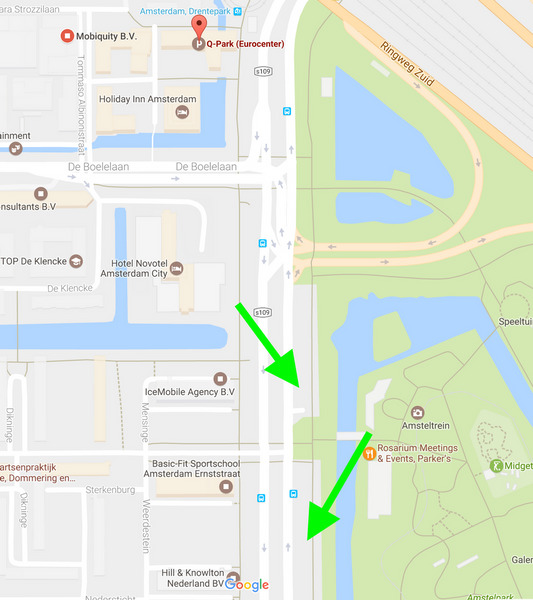 There are also two small parking strips in front of the Amstel Park (no pun intended) and opposite Ice Mobile office. On the Europa Boulevard - from there it's a couple of minutes walk to the Mobiquity office.